A common item among any cook's equipment, this simple, cast-iron disk was used for baking flat breads or pancakes. It hung from a rod in a hearth or sat upon hot coals in a fireplace or on a grate. 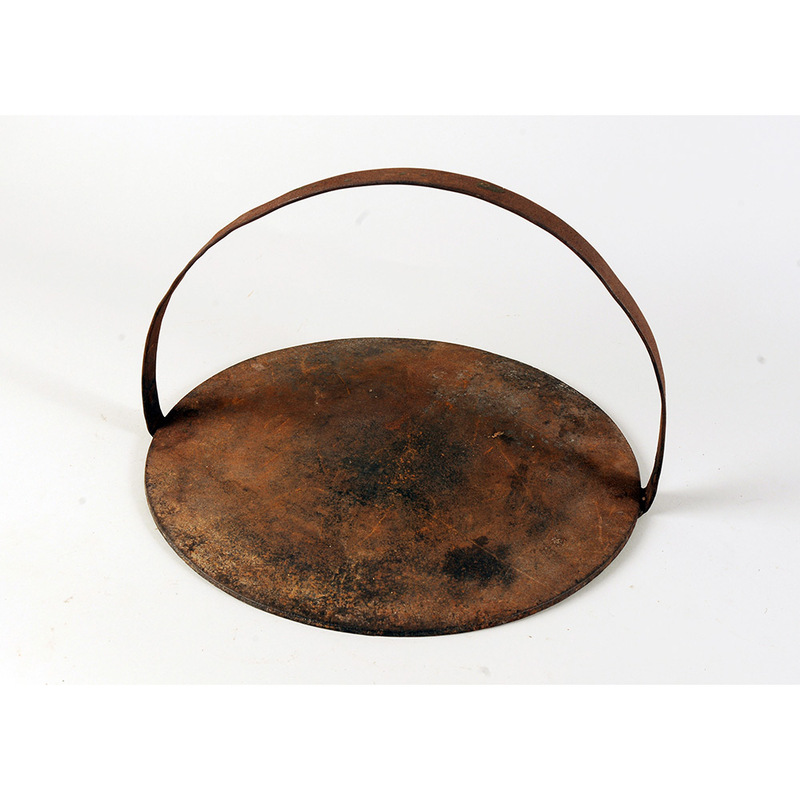 When cookstoves replaced hearths in the United States beginning in the 1840s, these same griddles were used on early stovetops. Today cookware in similar forms is available in stainless steel and other durable materials.